Looking for a barber school near you? We have all the info you need! If you are searching for the perfect barber school or simply looking for more information, you have come to the right place. Below you will find general information and frequently asked questions about finding the right barber school for you. How do I choose a barber school? What is the average barber salary? What is the difference between a barber school and a barbering program at a cosmetology school? How do I find the best barber school near me? What Do You Learn In Barber School? What are the requirements to enroll in barber school? How much does barber school cost to attend? Developing the skills of a barber to perform shaving and grooming services takes hands-on training from experienced professionals. Barbering as a career in beauty is on a comeback, as men’s styles become both more popular and more complex. In order to help find the right barber school for you, we are here to help you compare your options for the best barber classes. And while you’re here, why not see how barbering curriculum compares to cosmetology or hair design programs, in case you might want to expand your skills? There are many opportunities for students who want to pursue careers that focus only on men’s styles. Whether you are looking for general information about barber schools, finding the closest barber college near you, or have questions about how to become a barber, you will find the information to get you started. How can your barber school options result in the best career outcomes? After you receive information about your options for barber training, compare the curriculum between schools. Of course, cost and other factors will weigh your decision as well. But your course topics should cover all the essential areas where state licensure is concerned. For instance, without the proper health and safety courses, you might risk getting fined, or your license suspended. And without learning grooming and shaving skills, your barbering toolbox would be incomplete, right? It’s smart to think long-term when you choose the best barber school program. Sure, it’s nice to get employable skills in the least amount of time, but what if a program that takes a few months longer can prep you to open the doors of your own shop? You know, the one you’ve been daydreaming about? Some barber programs can give you business skills in the areas of accounting, contracts, and tips for opening your own shop. There is a big difference between working for yourself and working in a shop with other barbers. Question: Do You Need To Earn Your Barbering License? The answer to the ‘how long is barber school’ question really depends on your state’s barber licensing requirements. Many states require barbers complete a program that includes between 1,200 and 1,500 hours of education and training. Plus, you will likely have to pass an exam administered by your state’s cosmetology or barbering licensing board. Of course, earning your barber’s license is just the beginning. From there, make sure you understand the renewal requirements and fees. Many states require professional barbers to complete continuing education courses in-between renewal periods. Consequently, making sure you maintain licensure is essential to working professionally. Barbering programs typically last anywhere from 12-15 months. Consequently, plan on spending around 30-40 hours per week either in class or studying. Some schools will offer opportunities of standard forms of financial aid. This can include federal or private loans, scholarships and grants, or work study programs. As a result, you’ll need to figure out a sensible budget and plan for paying for your barber school training. Treat this step like a priority, and you will save yourself plenty of stress while you are in school. Are you saying ‘I want to find barbering schools near me? Then why not take the next step and request information about barber school training in your area? Just use our resources to learn more about barber salary, training details, and your state’s requirements for licensure. And let us know when you find the best barber school and start your career! We love to connect on social media, so we can show off your skills to other students considering this up and coming career path. No doubt, barbers spend more time with male than female clients, but many barbers do perform women’s cuts as well. When you work as a barber, your job will encompass discussing styles with your client, as well as executing the skills of a master barber. Barbers cut and style hair using a variety of techniques and tools. It is common for barbers to offer shampoo services, but this may not be automatic in all shops. Barbers may also offer additional services, such as hairpiece fittings, shaving, beard and mustache grooming, and sometimes facials. Barbers typically use scissors, combs, electric clippers and straight razors, which can add texture and personality to many hair types. State regulations also play a role in what services barbers offer. Some states require cosmetology licensure or other requirements for barbers who work with color, highlights, and other related services. Safety and sanitation are important to this job. When you train, you should make sure you learn how to work in a way that adheres to local health department regulations. This can keep you and your clients as safe as possible from germs, disease, and other health risks. Of course, if you run your own shop or work for yourself, it helps to have business skills. Look for courses that include customer service, simple accounting, tips for business, and other helpful topics. Ready to learn more? Compare barber programs in your area today! In order to become a barber, you usually must be at least 16 years old and have either a high school diploma or GED in order to be allowed to enroll. You will then need to complete an approved training program in a valid beauty or barber school and pass a state exam in order to be given a license, although a handful of states allow apprenticeship to get the required training hours instead (usually twice as many hours as would be required if you went to barber school). To figure out the best path to becoming a barber, you should start with learning about your state’s regulations. All states require some form of licensure for you to work as a barber. However, there are differences between training hour requirements and types of programs students have to take. If you just wish to perform men’s cutting and styling, without offering coloring, permanent waving, and those kinds of services, then a barbering program should be just fine. We typically tell barbering students to look at cosmetology programs as well. This is simply because your job opportunities can open up when you have additional skills. Barbering programs focus on men’s cutting, styling, safety, sanitation, and local business regulations you should know. You will also learn about scalp and skin conditions to watch for when you are cutting hair and grooming. As barbershops are becoming more unique, and ‘old school,’ you can find many places that offer shaving and trimming services. These services reflect the traditional images we have of barbers of previous generations, and the history of the ‘tonsorial arts’. To get in to barber school or a cosmetology program, you will need the equivalent of a high school education. You will have to be at least 16 years of age as well. Many high schools have vocational programs that can prepare you, and not to worry--you can find barber programs in all fifty states that can be completed on efficient timelines. Are you seriously considering a barber career? It never hurts to explore your options. So use our simple search tools and listings to view your options for training! There are many things you need to consider when choosing a barbering program or weighing your school options. First of all, you have to look at this challenge two ways: First, compare the courses of your top options. This will help ensure you choose barber training that aligns with your career goals. For instance, not all barber courses may teach grooming, while some may offer coloring or other skills that go beyond the basics. If you just want to perform traditional men’s cuts and services, then you should steer towards a basic program. Second, there are many practical things you need to consider in addition to classes. For instance, which barber schools have the best financial aid options for you? How long the program will take to complete matters too, especially if you want to start working right away. When you speak with school advisors, ask what kinds of career services they offer students. Follow up with “What local employers do you have relationships with?” This will let you how hard they will work to help you find a job once you’re finished. Last, but certainly not least, check out the instructors. Since many barber programs don’t take long to complete, you will spend a lot of time with your teachers. Ask what kinds of experience your teachers have and try to meet them if you can. By following these steps, you can choose the right barbering program. Ready to take that first step? Simply use our directory of barbering programs to get started! The Bureau of Labor Statistics (BLS, 2017) reports that barbers can expect to earn an average wage of $11.95 per hour. This translates to $478.00 per week, $2,071.33 per month, and $24, 856 annually. You have to keep in mind, this number accounts for full-time and part-time workers, which can lower the average. Another way this number can be impacted is by the amount of tips you can earn, that often go underreported by workers. To truly understand your salary potential as a barber, speak with current barbers and advisors at schools near you. They will understand what the job landscape looks like, and what kinds of tips you can expect on top of your hourly pay. When considering your salary potential, you should also account for such expenses as: license fees, cost of equipment, how much to set aside for taxes, etc. Want to learn a good estimate of your salary potential? Use our directory to locate barbering programs near you! If you are considering enrolling in barber school, you are probably curious about how much the program costs, how long it will take to complete, and what you will learn in barber school. Perfect—because we have answers. Why should you trust Beauty Schools Directory more than other options for information about barber careers and education? You can find tons of common FAQ’s about cost, duration, and curriculum for these programs right here. Our resources can help you determine the right kind of program – and connect you with barber schools in your area. You can contact us with any questions you have, and we’ll do our best to help you. We even offer a scholarship that barbering students can use towards their education expenses! If you think training to become a men's stylist and barber sounds like the right fit for you, just enter your zip code in the box to the right. Choose "Barbering" as your program to find schools near you that offer this program. Did you know that it is a common myth that barbering and cosmetology are the same thing? Yes, in many ways, they are quite similar. In fact program length, cost and curriculum may even overlap, but they are two separate licenses and there are some distinct differences between these two professions. Lastly, the next major difference between barbering and cosmetology is the services each type of licensee can legally perform. In fact, in some states it's up for debate whether a salon can have a barber pole outside their business if there is not a licensed barber on staff. If you know that you want to work with men, you will likely want to seek out barbering schools to start. 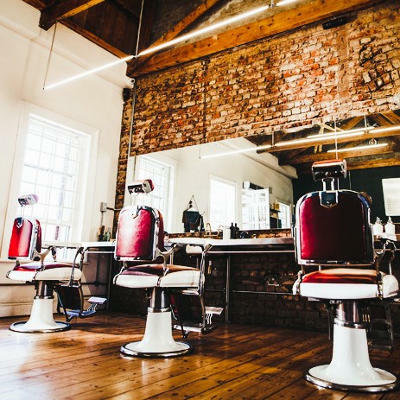 The best way to choose a barber school is always to research the barbering colleges you're considering and ask a lot of questions when you talk to the admissions representatives. Compare at least three schools before making a final decision. Cost is the most important factor, and so is financial planning. Make sure your school can help you map a strategy for paying for school. Does the program meet your state license requirements? Are the classes taught by experienced barbers? Do they have career services to help you transition to the workplace? Regardless of which school you choose, a good barbering school should teach you how to cultivate your strengths in cutting and styling men's hair and short hair, as well as the art of a good shave. The best barber programs will also prepare you with all the theory, practical and hands-on training hours you need to sit for your state's board exam. Getting a solid education is a necessary first step to getting gainful employment in any barbershop. For a checklist of questions to ask your admissions representatives and a list of things you should consider when choosing a school, check out this article about how to choose a barber school. Because barbering is such a traditional niche, and a popular independent business path, some barber schools go so far as to teach business management and marketing skills to get ahead in the industry. Safety and sanitation is also an important component of barbering school. Remember... For barbering, the hair must be healthy for it to reach its full potential. Clients count on you to keep an eye out for potential problems and to help them maintain healthy, good-looking hair. How long it will take to become a licensed barber depends on a variety of factors. The time to complete the program depends on whether you are in full-time or part-time training in barber school, or if you've decided to apprentice. The amount of hours required to become a barber varies by state, but the average is between 1500 and 2000 training hours. For those who decide to do apprenticeship instead of going to school, it usually takes twice as many hours. 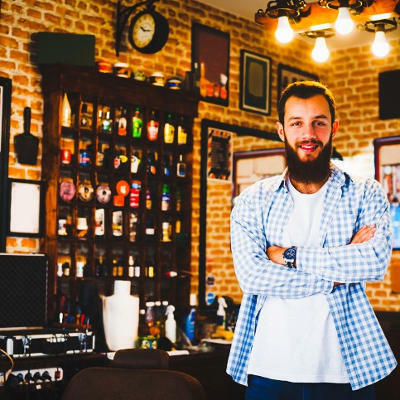 Finally, the time required to become a licensed barber will also be affected by how long it takes you to pass the licensing exam, which typically consists of a written portion and a practical hands-on portion. Most people complete a training program at a school in 12 to 24 months, depending your state's minimum requirements. Be sure to discuss all of these factors with an admissions advisor at the barber schools you're considering so you can plan accordingly. Many have asked whether you are eligible to receive a barber license with a felony conviction. Once again, this depends on your state's requirements and laws, and it also depends on the crime you have been convicted for. Most states will allow you to get licensed if you have a felony or misdemeanor conviction on your record, depending on the conviction, but it's absolutely essential that you do not lie about it on your application. Is the school is a large chain or a local shop? What area is the school in? How many hours does your state require to become licensed? The best thing to do is to request information from the barbering schools you are considering. This will help you discover how much each individual school costs. Our survey of beauty schools has found that the cost of barber college typically averages between $10,000 on the low end and $20,000 on the high end. One thing to consider, though, is that some schools include the cost of the student kit, mannequins, frocks, supplies and textbooks. Other schools do not. So when comparing the cost of different schools to become a barber, be sure to ask the admissions representatives what's included in that cost of tuition.